After meeting with the team and collecting their requirements, I met with the applications development team and they showed me the finer points of Sharepoint. 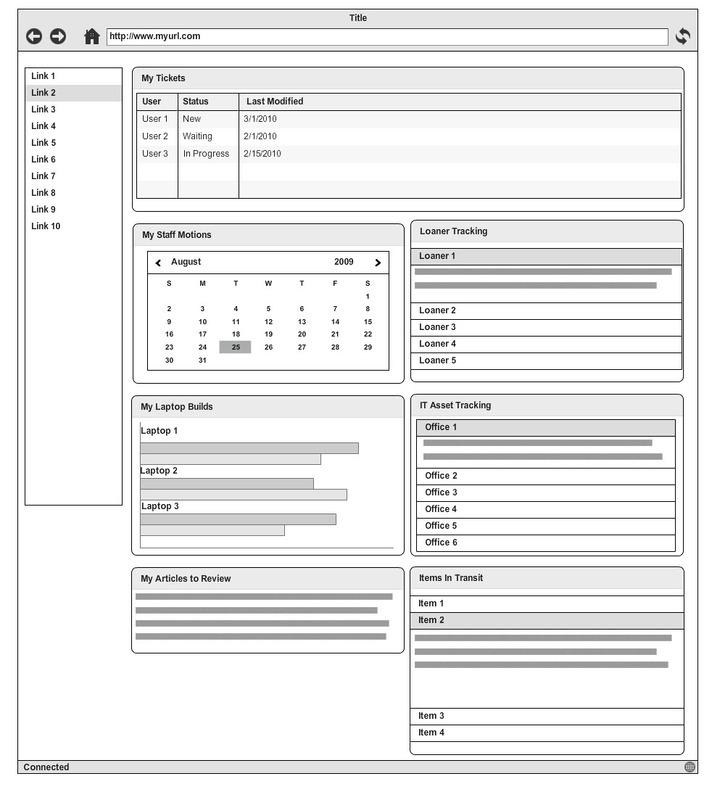 We had a limited window to get this dashboard into production before a new project was set to start, so I based my design on the out of the box Sharepoint layout. With that all in mind I generated a wireframe, got approval from both the help desk and dev team and got to work building a prototype. The final product was published a few weeks later and the help desk ravenously began using it. Although there was no usability testing involved in this project, I consider it a great success when I saw that the entire team was using the dashboard almost exclusively to perform their day-to-day tasks.